I think it’s safe to say that I have some OCD tendencies when it comes to organizing. But, I always know where everything is in a snap. And I love that. Since we have moved move so much we had to find a way to transport and store things easier. 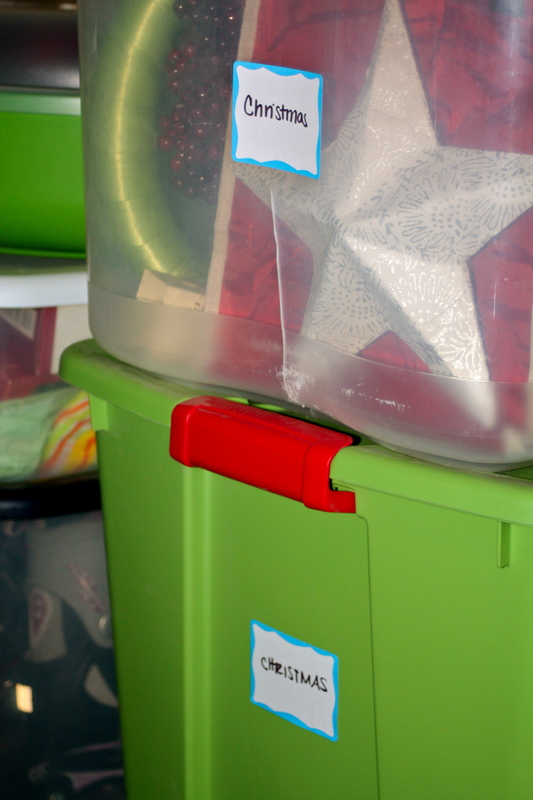 I found clear storage bins on Craigslist last spring for $3 each, much cheaper than buying them in stores and no added tax to pay! Those, added to bins we already had created quite a collection. 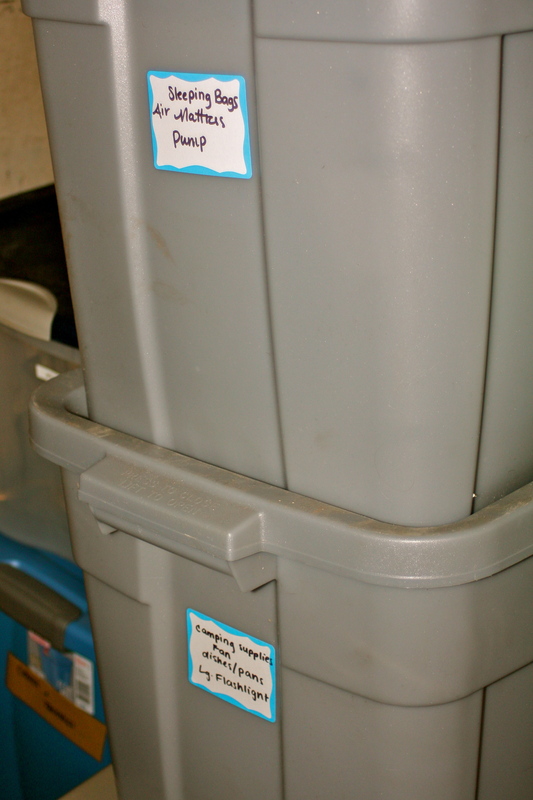 I organized what needed to go in each bin and then clearly labeled them all in the same place. I prefer clear bins so you can quickly see what’s in them, but not all of ours are clear. We try to only stack 3-4 so not to have to de-stack 10 bins if we need something in the bottom one. We put the bins on the bottom that house things that we don’t need currently, such as school yearbooks and sports awards. 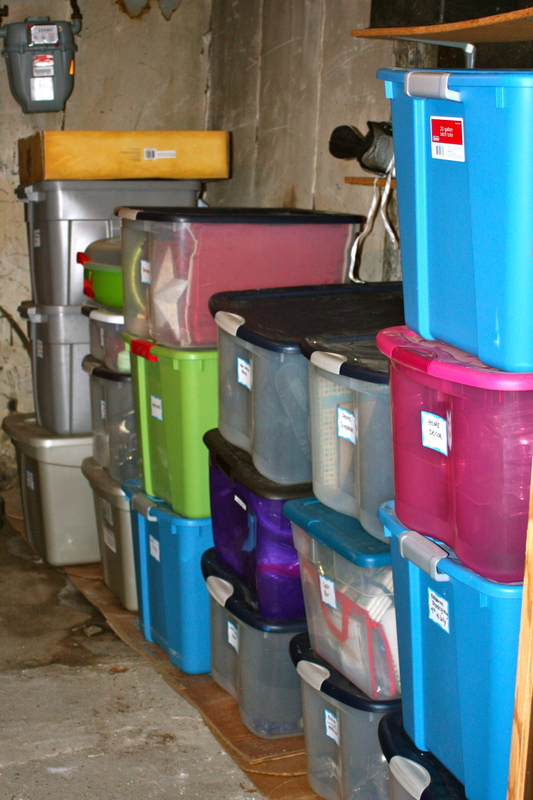 It’s helped us tremendously during moves and for general basement storage. We love knowing that everything is safe from water and other basement grossness. How do you store things or basement proof them? Any tips or tricks you want to share? Same goes for attic storage. It’s all the same, uncomfortable temperatures and lots of bugs. Great use of bins! You should also consider swiping the side with chalkboard paint, and using a chalkboard pen to mark the contents. This way you can change the contents easily. Kudos! Thanks Jackie! I love the chalkboard idea too. That’s a great alternative to labels and you’re right, would be easy to label and re-label the contents. Thanks!